Alternative investments may have started out as an exclusive offering, but they are being used down market much more. These investment options have become more popular for investors. According to a recent report from Preqin, a data and intelligence provider for alternative assets, this market segment has captured an impressive $8.8 trillion in AUM as of the end of 2017. This new-found popularity has created an interesting conundrum. On the one hand, investors are excited about the risk mitigation and return possibilities offered by hedge funds and private equities. On the other hand, adding alternatives complicates middle and back office workflows for advisors. Unlike stocks and bonds, many alternatives aren’t included in most market data feeds. No one looks forward to tracking down statements and manually updating holdings in the firm’s accounting system. And yet, firms lose hours of staff time to these tedious tasks every month. Thankfully, the mainstreaming of alternatives has inspired the development of operational best practices that can help advisors solve this puzzle. Here are five suggestions to streamline reporting for alternatives at your firm. 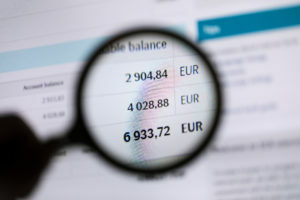 Documenting your firm’s process for bringing manual account data into the portfolio accounting system is a great step in the right direction towards a better workflow. Even if your current process is imperfect, the documentation process can give you more control and concrete ideas for what you want to change going forward. Does your list include when the statement is expected and when the downstream processes need the data input by? What is the process for saving account statements? How do team members know if an account has been updated recently? Which parts of the process usually work well and don’t work well? Which parts of the process expose the firm to risk, cause mistakes, or frequently result in delays? Make sure that you aren’t missing any steps and that they are in the correct order. Each step should have a primary assigned person who is responsible for completing it, and ideally a backup to account for illnesses or vacations. Encourage your team to share their frustrations with the manual account process – clarity on what’s not working is helpful for designing a better way. If you would like to see a sample manual account procedure document, email us to request your copy! Your schedule should include all accounts, expected statement frequency, target receipt dates, and contact information to facilitate follow-up. Think about which schedule format would be most helpful for your team. Some firms maintain an Excel file on a shared drive, others build workflow reminders inside one of their core systems. No matter which path you choose, get every team member on board to ensure consistency. Manual data entry may have been the only way to update alternative investments in your accounting system in the past. The industry uniformly agrees that the manual process is frustrating, slow, inefficient, and prone to human error. The good news is that there is a new solution that finally takes advantage of the latest advances in automation. Statement Digitization from Accusource is built to scale accounting workflows that were previously unscalable. How does it work? Implementing Statement Digitization begins with mapping each statement to the accounting system. After the mapping is completed, Statement Digitization automatically digests accounts statements and records updated valuations and transactions to the accounting system. No more shuffling paper statements and typing in valuations one at a time! The result is more scalable, faster, and less error-prone. It’s not uncommon for an advisor to face the end of Q4 looking at newly-revised statements from Q2. What’s the best way to adjust the investment’s record in the accounting system? One method is to re-open the Q2 reporting period and make a backdated prior-period change. The benefit of this approach is that any future query will bring up the latest (and most accurate) investment numbers from Q2. The downside is that the updated accounting system record doesn’t match previously issued performance reports, which can cause confusion. The other option is to make the change in the current period without re-opening a prior performance period. This creates a match between the accounting system and performance reports but also a lag in performance reporting. Comparison of delayed investment results to real-time market benchmarks could be distorted, as well. Neither method is universally right or wrong. The key is to weigh all the facts, make a choice, and communicate it to both staff and clients. When it comes to prior period corrections, consistency is king. No matter where your firm lands on the automation scale, the manual component of recording updates and performance for alternative investments isn’t going away anytime soon. And, as with any manual intervention, a timely audit is key for detecting errors. Data entry audits can cover multiple accounts and quickly identify errors before they get committed to client reports. Look into the tools that are available as part of your software or through vendor alliances. For example, Accusource clients can tap into custom-built reports that help teams to verify manual data. The industry may not be ready to eliminate the pain of manual accounting for alternative investments yet. But, today’s best practices can move your firm towards greater efficiency, scale, and accuracy. It all begins with a fully documented procedure, use of new technologies, agreement on backdating data, and a schedule to track timeliness and milestones. If your firm is ready to streamline your manual accounts processes, reach out to our team at Accusource and ask about Statement Digitization. What Could Go Wrong with Composite Reporting?